Here in the Greenroom, we examine the newest and best developments in keeping workplaces cleaner, greener and safer. But how can the developments we highlight, and the services that Alsco provides, combine to make a difference to your business in real terms? Well, it’s down to the Facilities Manager, now a key figure of modern management structure which whom we enjoy a symbiotic relationship, and how Alsco can meet his or her requirements. What exactly a good management structure is, has been a matter for debate for decades, and continuing changes have kept the answer elusive. But one of the most significant developments in management has been the Facilities Manager. Why? Because through this individual, the array of office-related issues, from floor plans and design to health and safety regulation adherence, is handled, overseen and prepared. We don’t need to tell you about the importance of adhering to the lengthy list of OHS Regulations, nor the significance of having a healthy, clean and happy workplace environment for your staff to work in. The solutions that Alsco provides for the specific needs a Facilities Manager is a major influence achieving all of those things. In essence, Facilities Management is all about keeping the facilities in a business premises in proper working order. Definitions of the role state that the Facilities Manager is responsible for the coordination of space, infrastructure, people and organization, but added to that is a range of “non-core responsibilities” that brings the number of areas of responsibility up to 11 sectors. While the primary aspects of the role are to ensure workplace safety, regulatory compliance and to properly manage and maintain business premises and systems, continuous innovation and development means the Facilities Manager must also find cost-effective ways to satisfy the job remit. That is where the challenge lies – and where Alsco frequently offers the best solutions. The Facilities Manager has a pretty wide scope of responsibility, depending on the size of the company he or she works for. All businesses will have health and safety, general hygiene and maintenance obligations to comply with, but laboratories, engineering companies and international corporations may also include data security, building operations, contract tendering and even office layout in the remit. This is a hugely important aspect of modern business management. The range of government and industry regulations which a workplace needs to satisfy is quite extensive and detailed, from first aid codes of practice to the management of hazardous chemicals in the workplace, making it difficult for a part-time in-house OHS officer to properly ensure compliance and adequate preparation. Through a dedicated facilities manager, every regulation detail can be examined and adhered to, but most important is that this adherence can be continually monitored and maintained. Another area of responsibility that requires careful attention and continuous monitoring, fire safety issues influence workplace safety and business insurance. Statistics suggest that fire provides the highest risk to life in the workplace, and needless to say threatens the destruction of the workplace, and therefore the loss of jobs and complete loss of operating capabilities. A facilities manager can ensure that fire safety standards are maintained and properly managed, keeping records, legal documents and certificates updated, inspections are regularly carried out and that all fire safety equipment (extinguishers and sprinkler systems) is in proper working order. Of course, carrying out regular maintenance and inspection obligations requires a lot of scheduling, especially when the business premises are large. In fact, meeting the fire safety, OHS and workplace hygiene standards can mean several detailed inspections and systems reviews each month. The purpose of inspections of course is to check that systems are efficient, the equipment is working and that stocks are adequate. Maintenance schedules need to be drawn up to ensure any inadequacies that exist are addressed, either through repair or replacement. All of these actions also need to be documented and archived. Maintaining hygiene levels in the workplace can be a major undertaking. It’s not just a matter of keeping carpets vacuum or floor surfaces mopped, or even keeping boardroom tables polished. It is also about keeping washrooms, kitchens and canteens bacteria free and the risk of illness to personnel as low as possible. A lot of the time, cleaning is done outside office hours, but some provisions sometimes have to be made for cleaning during office hours, not least in the washrooms. Then there is the issue of restocking supplies of hand soap, paper or roller towels, and toilet paper, and cleaning products. And like everything else, all of this needs to be scheduled, usually at different periods – from hourly or daily to weekly or monthly. Ever wonder who is responsible for office layouts? Where the workstations are located, the water coolers, filing cabinets and potted plants? It’s tempting to think an interior decorator or Feng Shui expert was called in, but actually, more often than not, it was the facilities manager that planned the use of the office space. In the past, an ambitious business might have invested in the skills of a professional, all in an effort to improve the working environment and employee well-being, which surveys show is still a major problem for Australian companies. But with the adoption of Churn Rate, a modern workplace philosophy that promotes changing the office layout as a way of refreshing the work space, a full time employee is needed. As you know, Alsco offers a range of services designed to ensure OHS compliance, better workplace hygiene levels and a generally healthier environment to work in. The Alsco range spans several different areas of expertise and is tailored for several different industries. From floor mats to linen services and from hygiene services to the supply of first aid kits and other medical emergency equipment, Australia’s leading name has it covered. But for any Facilities Manager there are two particular areas of concern: namely, quality and cost-efficiency. In much of what they do, these managers have to work in unison with the Finance Department, who of course demand value for money is essential. This is where Alsco makes the real difference. Because there a monthly rental fee, a business does not need to make an initial outlay for equipment and supplies. Often, it is the cost of new equipment – like electric hand dryers, soap dispensers and sanitary bins in the restrooms, or a, Automated External Defibrillator (AED), eyewash stations and first aid kit, or even eco-safe washers for cleaning machine parts in the workshop or garage. And when your business requires such equipment in several locations on the premises, as well as all of the associated supplies, then the costs can get pretty high. What’s more, rental services are tax deductible, so you save money too. Health and safety regulations have some pretty strict rules and failing to comply with them can result in some severe fines. The thing is that the area is an evolving one, and staying on top of every little regulation change can be a headache. 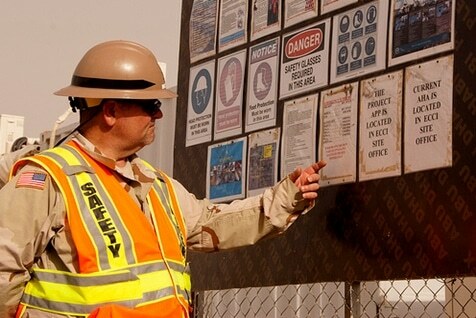 It’s Alsco’s business to know about any chances to OHS rules, and as a result any changes can be dealt with immediately, removing the headache involved in achieving full compliance at all times. Even after getting all of the necessary items, keeping them in proper working order is essential. What if your AED is faulty, or your electric hand dryer has become loose on the wall? Through Alsco’s fully managed rental services, the equipment is inspected, checked, cleaned and (if necessary) are replaced to ensure the business complies with the relevant regulations – always. When there is an accident in the workplace and medical supplies in your First Aid Kit are not fully stocked, it can place your staff member in genuine danger. You might have run out of gauze, or a disinfectant, meaning stopping blood becomes more difficult and infection becomes a greater risk. Alsco makes sure that First Aid Kits are fully stocked, not only with the essential supplies, but with the correct amount of each item to ensure enough is available to deal with a minor crisis involved several workers at once. With OHS regulations, the quality of work environment and the well-being of staff all considered so important, the challenge for a Facilities Manager is to satisfy these key areas as well as any additional areas that the particular business may provide too. When Alsco arrived in Australia in the early 1960s, the regulations were fewer and the pressure was less, and our rental services were designed primarily to lower our clients’ costs. But as the regulations have grown, and the need for a Facilities Manager developed, our services have evolved to ease the pressure and maximize convenience while also increasing cost-efficiency. Alsco Mats – a variety of floor mats that can help counter the negative impact of wet wintry weather. The range of mats available includes non-slip mats that also offer a degree of moisture absorbance. First Aid Kits – fully managed rental services make sure you don’t have to worry about stocking your first aid kit and ensuring it is in proper working order. We even colour code items to ensure what you need is easily found. Defibrillators – this is a vital area if you want to be ready to deal with cardiovascular problems in an emergency. The Automated External Defibrillator (AED) can keep a work colleague alive until the paramedics arrive. Fresh & Clean – maintaining a healthy working environment where the risk of illness is low is highly important. With Alsco’s dedicated fresh & Clean managed hygiene rental programs, all of the necessary standards in hygiene, odour control, cleaning and hand-drying systems can be satisfied in confidence. First Aid Training – fully managed training services that educate your staff on the techniques that can save lives in an emergency. First Aid and Fire & Evacuation courses are offered, while a secure online system helps you keep track of all training records, and alerts you when training renewals are required. Industrial Services – for any workshop or garage, having an effective parts cleaner is important. But so too is playing a role in moving towards a cleaner environment. The EcoSafe Washer is the best way of satisfying both conditions. Workwear – sourcing high quality, long-wearing workwear for industrial, workshop, laboratories or kitchen staff can be a challenge. Alsco offers expertly designed work clothing for a variety of sectors and will then wash, replace and deliver them to you.